Megan Forward brings her excellent listening skills, strategic mind, and finely honed workplace investigation and training expertise to her role at Rubin Thomlinson. She is often called on for her ability to anticipate clients’ needs, and offer creative solutions proactively. Megan strongly believes that with the right information and tools, employers and employees alike can be empowered to establish healthier and more inclusive workplaces. At Rubin Thomlinson, Megan develops and delivers training to ensure that clients have accurate, up-to-date information about their legal obligations and options so that they can make smart decisions about their workplaces. Megan also conducts investigations and workplace assessments to help employers improve workplace dynamics and resolve issues related to harassment, poisoned environments and bullying. Megan has spent her career pursuing her passion for creating healthy, inclusive work environments. After articling at a major labour and employment law boutique firm, Megan practiced anti-racism law for a specialty legal aid clinic where, among other things, she appeared before the Human Rights Tribunal of Ontario and the Parliamentary Standing Committee on Justice and Human Rights. 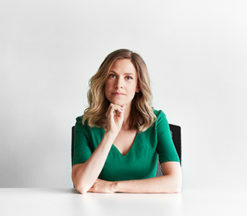 Megan also served at the Ontario Human Rights Commission, where she conducted inquiries into systemic human rights issues with public interest implications. Her work resulted in the award-winning Policy on Removing the “Canadian experience” Barrier. Megan also co-led the development of Ontario’s Correctional Services’ policy for the Admission, Classification and Placement of Trans Inmates. Megan has delivered human rights-related training to staff in a number of different roles. #MeToo Pulse Check Survey: How has #MeToo changed things within your organization?